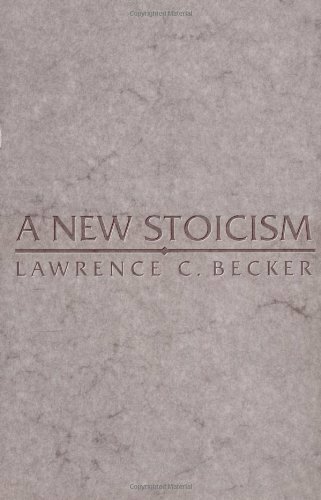 Back in February I went to Roanoke, VA, to visit retired professor of philosophy Lawrence Becker, the author of A New Stoicism, on which I have commented a number of times before (use the “Becker” category on this site to read all previous posts). Larry was kind enough to allow me to interview him on tape (well, on iPhone, really), chatting with me about not just his book in particular but the project of modern Stoicism more broadly. I have now (very slightly) edited the resulting files and I begin a series of posts presenting the interview to the broader public. Each post covers about half an hour of our conversation. I will not add any commentary of my own, since Larry’s words come through loud and clear — both in terms of audio quality and more importantly in terms of thought processes. Below I simply list a series of topics and the approximate times in the linked audio file where we discuss them. Enjoy, reflect, and comment. The first file can be downloaded here. Thanks to my friend Greg Lopez for helping to craft some of the questions I posed to Larry. This entry was posted in Larry Becker on March 22, 2016 by Massimo. This is great and a service to the Stoic Community. I liked that you maintained the focus (at least in this segment) on the relationship to the practical practice. Also a reminder that Audio misses you Massimo, at some point we hope you return to podcasting as a host, not just as a welcome guest. THank you for “salvaging” this treasure of stoic thought. I always wondered how Larry applied his own writings to his life; what came first, the book leading to practice, or the practice leading to the book. Now we know…. cant wait for the next installment. Thank you so much for sharing this. For those of us who like our ethical doctrines “hard as nails,” Becker’s work is invaluable. There must be more than a few people who feel a deep sense of gratitude for his efforts in bringing this beautiful old philosophy up to date. Though I understand that this blog is centered around the practical aspects of Stoicism, I hope that there can be some room for deeper discussions about the arguments Becker makes. That is, what are some objections to his work, and how does he answer them? Has his work ever been under serious scrutiny in academia, beyond book reviews? If there are I certainly have had a hard time locating it, and would greatly appreciative any guidance. Thanks again, Massimo, for sharing this. It has been exciting to watch an academic such as yourself dig into Stoicism with passion and vigor. It will be very interesting to see what’s in store for Stoicism in the near future; practically as well as theoretically.